Russian warplanes hit 27 terrorist targets in the course of 22 sorties carried out in Syria overnight, the Defense Ministry said Thursday, adding that terrorist strongpoints and training camps were destroyed. "The [Russian] bombers… targeted eight militant strongholds in the province of Homs. The militant fortifications were completely destroyed by the strikes,” said Igor Konashenkov, spokesman for the Russian Defense Ministry. The Russian planes hit 11 Islamic State training camps in the Syrian provinces of Raqqa and Hama, he added. The Russian air support allowed the Syrian government forces launch a massive offensive against the terrorists early Thursday. 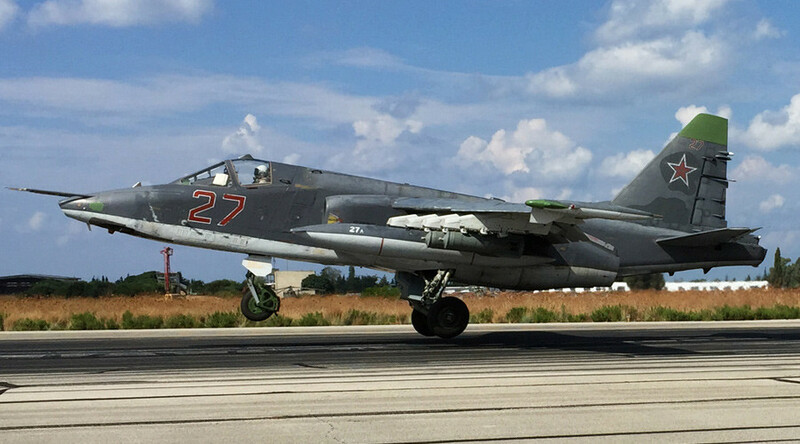 On September 30, Russia launched its Air Force anti-terror operation in Syria at the request of Assad’s government. Since the start of the operation, the Russian military have destroyed over a hundred terrorist targets, including command posts, ammunition depots, training camps and armored vehicles belonging to jihadists. On Wednesday, Russia first employed its Navy in the operation with four warships firing a total of 26 missiles at ISIS positions in Syria from the Caspian Sea.